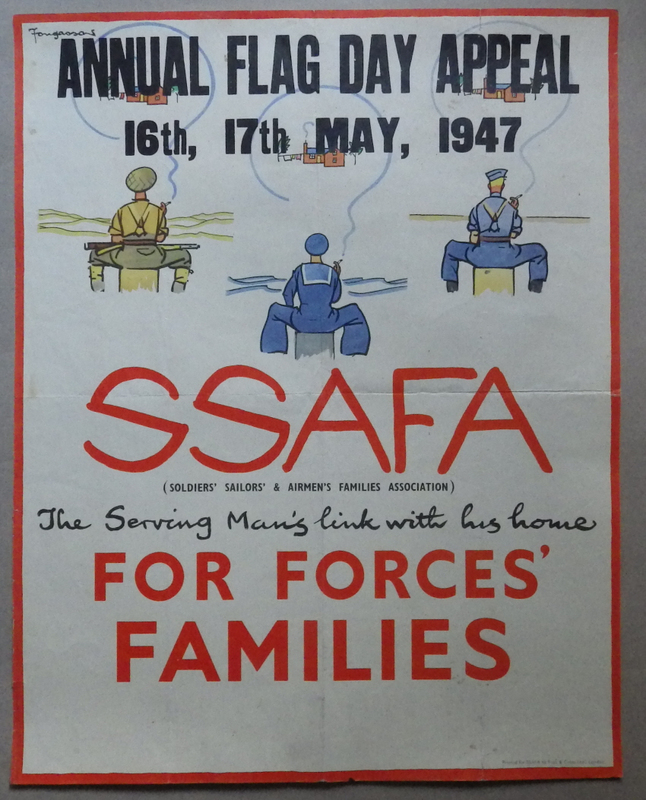 Fougasse: Poster for Annual Flag Day Appeal for SSAFA 16 & 17th May 1947. 55 x 43.5cms (c.22 x 17 inches). Folds; 3cm repaired tear on bottom of right hand vertical fold, 2cm repaired tear at top; some light stains. Category: Miscellaneous. Tags: Fougasse poster, Fougasse poster for SSAFA.